According to the dictionary, quincallería or quincalla, as it is called in Cuba, is a small retail store where a variety of usually inexpensive articles are sold. They are neighborhood shops where one can buy practically anything, from batteries to cheap jewelry to thread to dishrags, for instance, without having to take a bus and go downtown. Until 1968, when the revolutionary government eliminated the remaining small private businesses, quincallas flourished all over the country. Sometimes they were simple outlets from the window of a home. Several decades later, with the expansion of the private sector, many quincallas have sprung like mushrooms. Most are just a table where the seller displays his merchandise. Some sell from the porch or garage or entrance to their homes, while others rent a space in somebody else’s porch or garage. Although you can still find some of the sundries these stores traditionally sold, the offer now is more limited. This is due to the fact that there are no wholesale dealers for individual retailers, who have to find their merchandise wherever they can. Some household supplies of plastic or aluminum, for example, are made in makeshift factories. 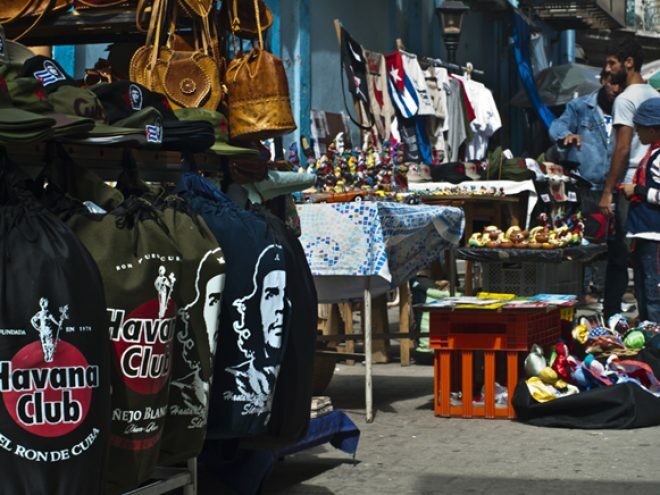 Cheap jewelry, hair accessories and clothing are usually brought into the country by travelers who bring their suitcases full of these merchandises for resale in Cuba. But most of the items on sale are bought at state-owned stores. One good thing that can be said about these retailers is that if you need a couple of nails or screws or a spool of thread—and not a whole pack of any of these articles—the neighborhood quincalla is the place to go. Even if the price is higher, in the end you’ll be saving not only money but time as well. Having said this, however, one very bad thing about them is that for some products, the prices are marked up so high that they are actually being sold 100 and even 200 percent more than their original cost at state-owned stores. And some products just disappear from the official stores, but are found at these new private quincallas. All in all, quincallas are a mixture of love and hate. Some people swear by them and others avoid them altogether.